Yoga Pranala sounded like a proprietary name for a unique way of doing yoga...like Ashtanga Yoga or Sivananda Yoga. I was intrigued and attended Chiara's class at Intuitive Flow Yoga Studio to find out more. 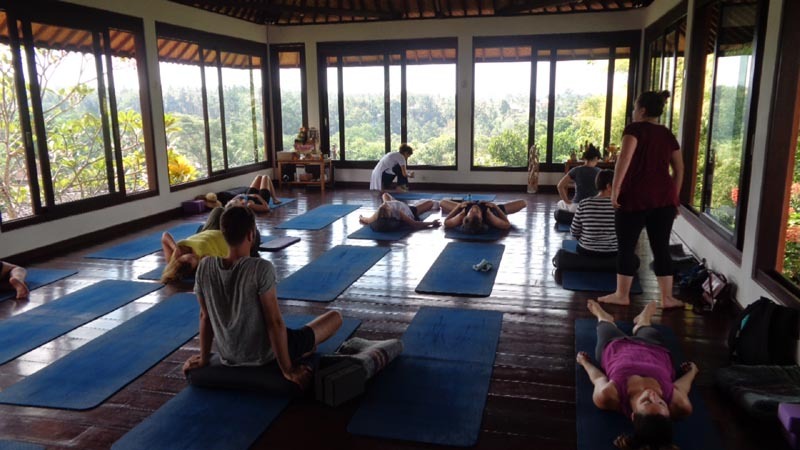 Yoga Pranala is a gentle form of yoga, incorporating asana, pranayama, meditation, Balinese qi gong and yoga nidra. It harmonizes the feminine and the masculine and moves energies (prana) within the body for self-healing. 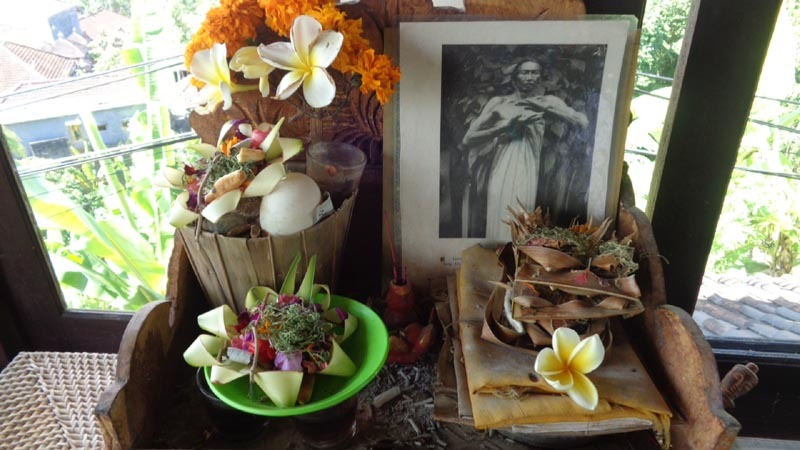 Intuitive Flow was founded by Linda Madani in the outer northwest section of the Ubud city center, away from the noise and bustle. 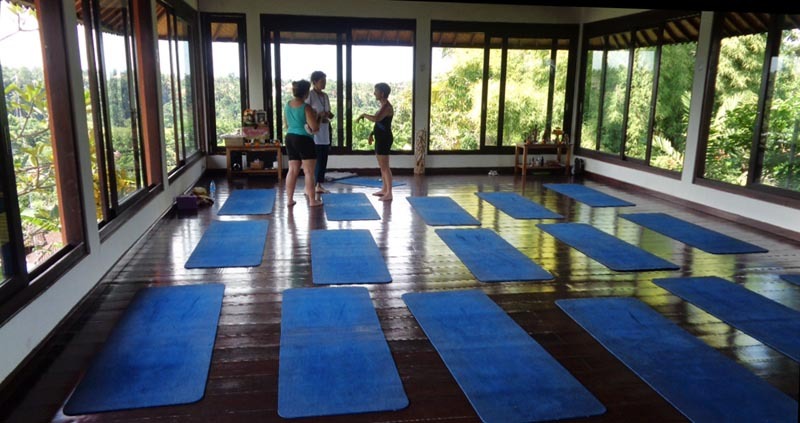 The 2nd level studio offers a stunning view of the countryside and the imposing volcano, Mt. Batur. Yoga classes, yoga teacher training and workshops are regularly offered. 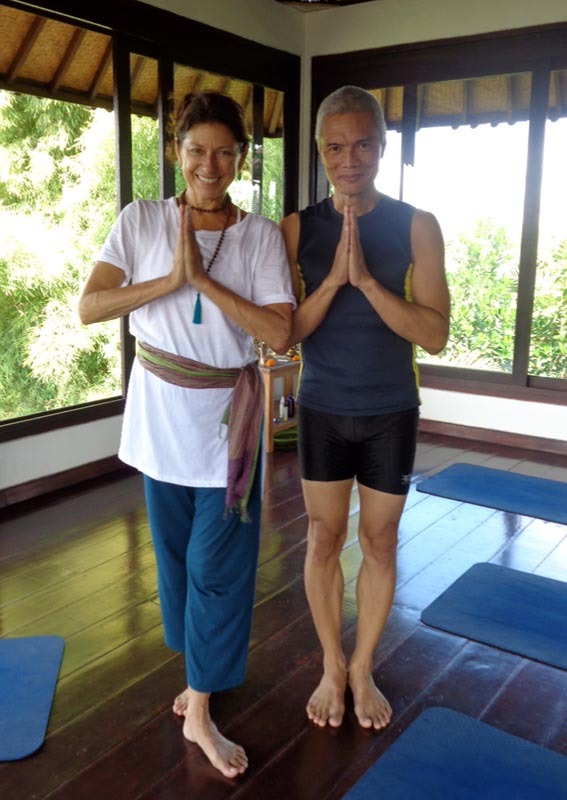 Chiara is a lovely Italian who discovered yoga in an Ayurvedic clinic in India in 2005. Her pursuit of therapeutic yoga with the Oneness Movement allowed her to be a 'master blender' of essential oils for healing. 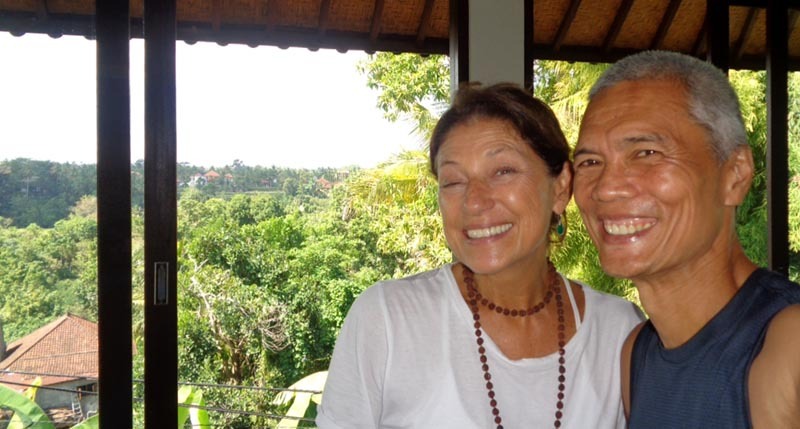 Her deepening practice has taken her to Ubud where she completed her Yoga Pranala certification in 2013 under Linda Madani. She carries a gentleness about her and it manifests as she conducts the class. Before any word was uttered, soothing music was played as students eased themselves onto their mats. Chiara explained many things before the sequence began - the visible and the non-visible, the mental thinking process and the intuitive feeling. She talked about energy flow and trusting in the practice if it didn't come instinctively. There was little asana as most of movement was through arms, hands and mudra fingers to shift energies and forces within the body. The movements were slow and graceful, focusing on intent with every movement. A lot of the movement was meditative, like Tai Chi, but we didn't move around. In the entire length of the session, Chiara's measured cuing and pace was reassuring for both guidance and understanding of the process. True, Yoga Pranala is unlike the conventional Hatha yoga where physicality of asana movement is underscored. Here, it's more slow and gentle, more of a mediative movement with intent on moving energies to strengthen and heal. I find it very Yin (feminine), in contrast to Ashtanga or Power Yoga being very Yang (masculine). Thank you Linda Madani and Chiara for letting me experience this new form of healing yoga in the warmth and comfort of your lovely studio.